Pressured from e-commerce growth, TV shopping network QVC plans to acquire its rival HSN Inc. in a $2.1 billion deal. Liberty Interactive Corporation, QVC's parent company, already owns 38% of HSN's stock and now the two companies have entered into an all-stock deal valued at $2.1 billion, in which Liberty Interactive will acquire the remaining 62%. 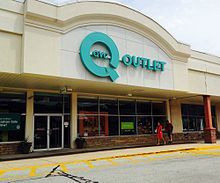 “As the prominent global video commerce retailer and North America’s third largest mobile and e-commerce retailer, the combined company will be well-positioned to help shape the next generation of retailing," said Mike George, QVC President and CEO. Not only would the merger result in the third-largest e-commerce site, behind Amazon and Wal-Mart, but it will optimize programming across five U.S. networks and increase development of e-commerce, mobile and OTT platforms. “By creating the leader in discovery-based shopping, we will enhance the customer experience, accelerate innovation, leverage our resources and talents to further strengthen our brands, and redeploy savings for innovation and growth,” said George. “The addition of HSN will enhance QVC’s position as the leading global video e-commerce retailer," said Greg Maffei, Liberty Interactive President and CEO. "Every year they together produce over 55,000 hours of shoppable video content and have strong positions on multiple linear channels and OTT platforms." The acquisition of HSNi is expected to be completed by the fourth quarter of 2017. Allen & Company is serving as financial advisor and Baker Botts LLP is serving as legal advisor to Liberty Interactive. Centerview Partners and Goldman Sachs Group, Inc. are serving as financial advisors and Davis Polk & Wardwell LLP is serving as legal advisor to the Special Committee of the Board of Directors of HSNi.